From the beginning Axolotl has explored the intersection of creativity with technology and delivered professional designers the opportunity to re-imagine the possibilities of the built environment. Metal that looks solid, but weighs as much as a cardboard box. 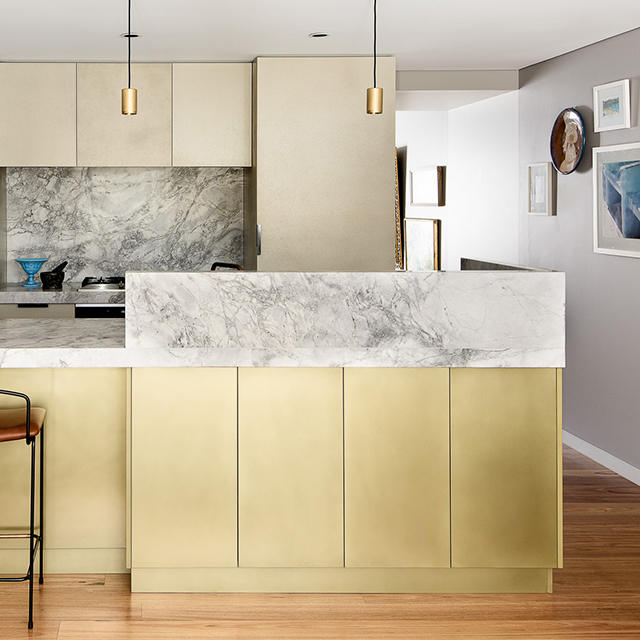 Concrete cabinetry etched with the beauty of a Florence Broadhurst design. Multi-storey blades of terracotta that will never crack. Making the impossible come to life is in our DNA. Which is why when we set out to develop a paint product, it had to be something that had never been done before. We were excited to open up the beauty and quality of an Axolotl architectural product direct to the non-design professional, whilst also continuing to deliver architects and designers the elevated creativity to which they were accustomed. In developing what would be Axolotl Paint the starting point would naturally be authenticity and craftsmanship. As always, the disruption would come from the application of new technological thinking and the design originality that is imbued in all Axolotl products. The result are paints that are the uncommon combination of technological expertise, traditional craftsmanship and environmental sensitivity. More than this it is the unique aesthetic palette offered, along with access to innovative design expertise in product selection, that truly differentiates an Axolotl architectural paint from others. Axolotl are recognised leaders in design and innovation, receiving over 40 industry awards over the past twenty years. Our design team includes professionals in building and interior design, product design and even cinematography. Entrusted by preeminent professionals in the building industry as consultants on projects for companies such as Tiffany’s, Louis Vuitton, Four Seasons Hotels and now you. We know that choosing the right surfaces in your home is more than just about colour, or technical performance, it’s about bringing your vision alive. Great design adds value both financially and emotionally. All this is brought to bear when ensuring we have the optimum palette to be both, classic and on-trend, increasing confidence without being overwhelmed by having too much choice. Our showroom enables you to have a tactile experience with the paints in a calm and inspirational environment, that has a vast array of contemporary surfaces and products to play with. Our designers are also available for consult at no cost to you. You can call to make a time on Monday – Thursday from 7am-4pm and Friday 7am-3pm. Axolotl provides design solutions for architects, designers and builders through a range of authentic metallic, concrete and terracotta coatings, and are suppliers of solid surface, timber veneers, stone and architectural glass. The company was founded in July 1995, after many years of R&D into the area of metal manipulation for surface application realised a world first – the ability to adhere genuine metal to the surface of any substrate, rendering the surface with the appearance of solid metal, but without any of its limitations. In the 22 years since inception, Axolotl has continued to develop products and services that are true to the original DNA of the business and now offer ten core surface applications, with infinite combinations. In late 2016, Axolotl launched a range of architectural paints. The paints themselves deliver the crafted quality that is synonymous with Axolotl enhanced with the latest technical innovations. Combined with our understanding of materiality and colour in the built environment, the range is offered in a limited edition, curated palette of on trend colours and effects. The range has also been developed from the perspective of environmental respect and conservation. Axolotl Paints are high performance paints, designed to deliver the highest standard of finish demanded by the best commercial and residential architectural projects. Axolotl architectural paints have not just been engineered to deliver performance but have also been designed to deliver an elevated finish, giving your project the professional designer touch. The performance of a paint is benchmarked on three key attributes - opacity, application and durability. With high levels of pigment, rich resin binders and high refractory properties our paints deliver optimum coverage, with a richness in colour that amplifies impact and makes a real designer statement. The easier a paint is to apply (in accordance with specific techniques) the less coats will be needed to achieve the end result. Which of course means saving time and money. Axolotl Paint have been engineered to optimise ease of application, whether rolling or brushing, and with maximum coverage delivered through the intensity and opacity of the paint, without increasing thickness to levels that may cause difficulty of application. Every surface will deliver a unique set of wear and tear variables, however generally internal paints are expected to have a longer life. External paints are subjected to higher levels of wear and tear from environmental factors over which there is no control. How long a paint lasts, from a durability perspective will determine the value of the paint, as the cost is looked at over the life-cycle, not just at the time of painting. Our paints have been developed to provide maximum levels of stain resistance, whilst also withstanding abrasion through cleaning*. The sheen levels and textures of paints selected, paired with their location can also have a direct impact on visual wear and tear, as well as ease of cleaning. For example walls will usually be painted with a low sheen paint base as it has a smooth surface which is easy to clean, while a flat paint base has a rougher matte texture which hides imperfections but marks easier, making it the sheen typically used on internal ceilings. External paints are further reinforced with UV protection to ensure minimal fading through sunlight. * Please refer to specific paint qualities for more information to determine suitability for your project, as difference finishes will have different qualities. Volatile Organic Compounds (VOCs) are the harmful chemicals found in paints. These are carbon-containing solvents that vaporise into the air as paint dries. VOCs can have negative effects on the health of building occupants and exposure to such products can cause headaches, dizziness and nausea. Higher exposure levels have had links with serious outcomes such as cancer. By specifying low or zero VOC paints these problems can be minimised, even eliminated. Usually, low VOC paints emit less odours and offer faster drying times and non-yellowing properties. However, it’s important to look beyond simple ‘eco’ claims to ensure that you still get optimum performance from your paint, particularly for outdoor finishes. Common shortcomings include poor durability and low coverage. Axolotl architectural paints are water based and contain low or minimal VOC, yet are engineered to be a high performance paint in all environments.